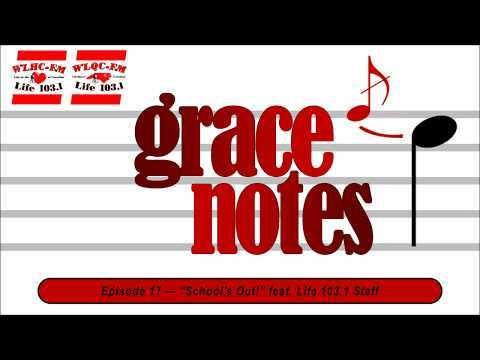 A special episode of Grace Notes featuring Christmas songs picked by our behind-the-scenes staff. Earl Wright, founder and chief technician of Project Santa. Earl grew up a sharecropper in a "see-through" house. He and his brother built their bikes from parts found in a local junk yard. For 22 years now, he's spent much of the year collecting and repairing hundreds of bicycles to give away each Christmas. Cookie Sharum is a Salvation Army Bell Ringer, among other things. Although the Christmas Season finds her in front of a local grocery store, her desire to serve others in both word and deed is yearlong. She's a caregiver for a disabled brother, a longtime nanny, and at her church the administrative assistant and women's ministry coordinator. A North Carolina transplant from West Virginia, Cookie brightens the lives of those around her by sharing both the fun and the meaning of Christmas, and then lives her life throughout the year with that same perspective. The songs she talks about are special favorites of many. A special episode of Grace Notes featuring songs picked by our behind-the-scenes staff that reflect what they have to be thankful for. Judy Dixon is a retired school teacher whose early education took place in the family grocery store. Judy now spends time volunteering at the local Boys and Girls Club leading her M&M classes that teach Scripture to 2nd and 3rd graders. Her mission is to make the youngsters feel they are loved and cared for - her passion is contagious; her perspective inspirational. A special episode of Grace Notes for Veterans Day, playing patriotic songs as we reflect on the meaning of this holiday and those it celebrates. Andy Anderson, the son of small town Illinois farmer. Drafted during World War II, Andy was stationed in North Africa, participated in the invasion of Sicily, landed in Normandy on D-Day, and ended up in Belgium. Throughout the War Andy carried with him pictures of Josephine, who he eventually married. Marvin Joyner, a Nash County native and former president of Central Carolina Community College. Marvin will share about his early days on the farm, manufacturing parts for the Mercury Space Program, his time as a student and educator, and his 55 year marriage. Well aware through personal experience of social class distinctions and the needs of others, he's been motivated to volunteer his time and energy to causes that continue to make a real difference. Bob Boyd, a retired Cummins Incorporated manager whose volunteer service ranges from the American Lung Association to the United Way. Bob is a veteran and family man - his values on the home front translating into 50 years of marriage. Lucian Brown, an army vet whose tours of duty took him to Germany, Korea, and Iraq. His perspective on life and relationships is an inspiration. Currently a letter carrier, customer service seems instinctive to Lucian as he identifies with people and their circumstances. Sherron Deal, a retired elementary school principal who says she’s tried every day to live her life according to her calling. For her – for decades – that’s meant inspiring and caring for young people. Doing everything she can to help her youth reach their full potential. 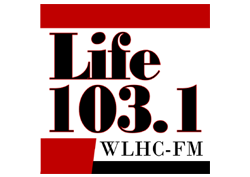 Fall and Changes with the Life 103.1 staff... a special Fall themed episode of Grace Notes featuring songs chosen by some of our very own! Lee Crutchfield, founder and owner of the Aloha Safari Zoo near Cameron. Lee is just back from judging the 2017 American Shetland Pony Club Congress in Missouri and he joins us to talk about how he and his family, with the help of countless volunteers, have turned a farm into a haven for unwanted, mistreated, and injured animals of all sorts. He’s a licensed keeper of exotic animals, and his life-long passion for caring for animals has grown into not just a major rescue organization for dozens of different species, but a ministry of encouragement and affirmation to those who volunteer. Dr. David Bruton, a founder of the Moore Free Care Clinic, former North Carolina secretary of Health and Human Services, and former Chairman of the State Board of Education. David grew up on a farm in Montgomery County, and through personal experience, came to understand the importance of family, the value of education, and the lifetime benefits of mentoring relationships. As a pediatrician, he built a practice where he saw first-hand the healthcare challenges faced by the poor – and responded. Rev. Richard Joyner is the founder of the Conetoe Family Life Center, hospital chaplain, and a 2015 top ten CNN hero. Richard grew up in eastern North Carolina as one of 13 children – the son of a share cropper. He joined the Army, and eventually found his way back to North Carolina where he took his early difficult years of experience on the farm and by faith, through community gardening, established a lifetime ministry to hundreds of children. The ripple effects have changed families, and restructured the community. Nancy Pickard, retired longtime North Carolina educator, adoptive mother of three, and supportive wife of a dreamer. Over the course of her career, and during the challenging times of integration, Nancy taught elementary school students and served as principal at a number of different schools. She and her husband raised a family, and along the way, on weekends, perusing her husband's dream, built Ole Gulliam Mill Park. Hal Siler, a descendant of Siler City's namesake and a long-time activist in Sanford and Lee County. As the oldest active surveyor in North Carolina, Hal has also served as Sanford's City Manager and head of the Chamber of Commerce. Stephanie Pridgen, a Media Communication Graduate of Emmanuel College and Missionary to Ukraine. Her commitment to teaching and humanitarian work overseas is derived from early personal experience and grounded on the conviction that one person CAN make a difference. This episode we feature Shelly Bryant of Underdog Ranch Pet Adoptions. Our station mascot, Olivia Newton John, is a graduate of their foster program and we wouldn't have her in our lives without the hard work of Shelly and her team of volunteers. Shelly's compassion for dogs without homes is heartwarming and her rescue work is helping to make our community a better place. Talking with some of our behind-the-scene's staff on the theme of "School's Out"!